Last week, YouTube suspended the Abortion Pill Reversal (APR) account for "repeated or severe violations of [the] Community Guidelines." Four videos were posted to the account. The "offending" videos included one webinar explaining APR in scientific and medical terms. The remaining three told the stories of women who chose life for their babies using the APR protocol. Citing its policies on "harmful or dangerous content," YouTube opted to suspend the APR account entirely, explaining that it "doesn't allow content that encourages or promotes violent or dangerous acts that have an inherent risk of serious physical harm or death." Examples of videos that violate this policy are videos about "instructional bomb making, choking games, hard drug use, or other acts where serious injury may result." You can watch one of the videos that YouTube deemed "harmful or dangerous" here. Heartbeat International is no stranger to efforts to silence the life-saving APR message. Despite its safety and efficacy, the protocol has come under fire from abortion advocates, who oppose a woman's right to choose not to finish an unwanted abortion. Since early 2016, Heartbeat International has successfully defeated multiple efforts by California bureaucrats to prevent nurses from learning about the life-saving protocol. "It's hard to understand why YouTube would treat the rescuing of babies from an abortion pill the same as terrorism videos," said Jor-El Godsey, President of Heartbeat International. "On closer investigation, we believe YouTube will find that these videos in no way resemble such dangerous or harmful content." Since the protocol's inception in 2007, abortion advocates have derided it as "junk science," even though some doctors who support abortion acknowledge that Abortion Pill Reversal is built upon a sound scientific foundation. Speaking with The New York Times this July, for instance, Yale School of Medicine's Dr. Harvey Kliman said the protocol, "makes biological sense," and went as far as to say he would recommend the treatment to his own daughter. Although Abortion Pill Reversal is credited with saving hundreds of lives, Planned Parenthood, the world's most aggressive and largest provider of abortion, still has its YouTube account. Heartbeat International initiated YouTube's formal appeal process on April 30. They are hopeful that rather than taking sides in the abortion debate, YouTube's decision was a mistake. 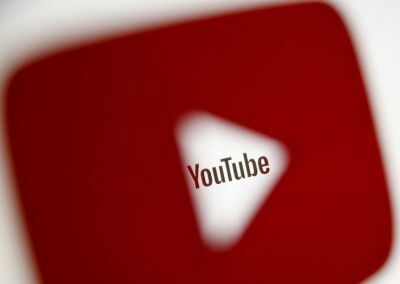 "We are confident that YouTube did not intend to silence a woman who was merely telling her own abortion story, simply because that story ended with a healthy baby boy," said Godsey. "We look forward to the account being restored quickly." Danielle M. White, J.D., has served as legal counsel for Heartbeat International since 2015. A member of the Christian Legal Society, she has used her legal training to defend the traditional family, religious liberty and the right to life as an Allied Attorney with Alliance Defending Freedom and as a summer associate with The Thomas More Society in Chicago. A wife and mother of two, Danielle has always been passionate about serving women facing unplanned pregnancies.